Transparent solid polycarbonate sheet glazing can be cut to size ready for installation. With its UV protection to both sides it offers excellent weather properties and being virtually unbreakable means it is ideal for use where high levels of safety are required. 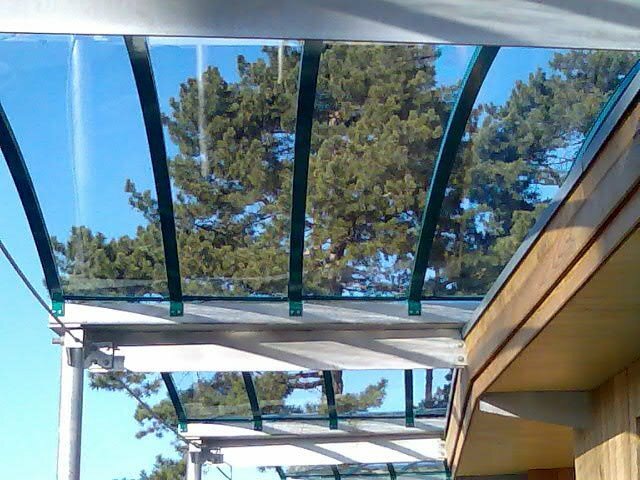 Please ensure that you use the correct thickness of polycarbonate glazing for your application. Whilst this lightweight but incredibly tough product is mainly installed as vertical anti-vandal or security glazing, both at high and low levels, it is also used in rooflights, walkways, street furniture and machine guards. Used in overhead situations it won’t crack, shatter or break into dangerous shards. It may be cold-curved on site and also factory heat-formed to create circular and pyramid domes, without losing any of its UV properties. During installation solid polycarbonate requires a larger edge engagement than glass, so please ensure that you use an appropriate glazing system for your application.